Berkery Noyes Represents Ascend Media Holdings in its Sale of Allied Health Group and Practice Builders Divisions - Berkery, Noyes & Co., LLC. New York, August 17, 2009 — Berkery Noyes announced today that the firm represented Ascend Media Holdings (“Ascend”) in the sale of two business units-Allied Healthcare Group to Anthem Media Group and Practice Builders to undisclosed buyer. Terms of the transactions, were not disclosed. Allied Healthcare serves ten healthcare markets with eleven magazines, ten websites and ten weekly digital newsletters. Revenues are generated via print and online advertising and sponsorship sales. Markets covered include: imaging, hearing, orthodontics, clinical lab products, plastic surgery, sleep therapy, respiratory therapy, long term rehabilitation management, physical therapy (or short term rehabilitation) and biomedical. 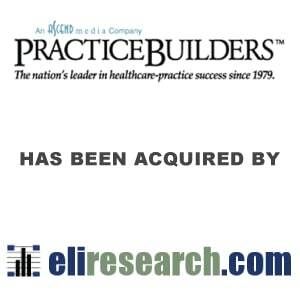 Practice Builders operates as a strategic consultancy providing practical and usable market information, practice management solutions, case studies on successful business models and advertising agency services to assist healthcare professionals with building and strengthening their practices. Its services empower private practitioners with tools and consultative advice that allow them to better market their services and adapt to the changing healthcare environment. “This is an excellent outcome as we found solid buyers for each division in a very challenging economic environment.” said Tom O’Connor, the Berkery Noyes Managing Director who managed the transaction on behalf of Ascend Media Holdings. Berkery Noyes acted as exclusive financial advisor to Ascend Media Holdings on the sales. Berkery Noyes has been involved with many of the most notable transactions in the healthcare, pharmaceutical tools and services, and medical marketing sectors involving both strategic and financial buyers and sellers.